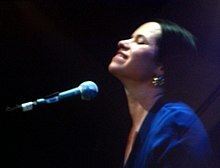 Natalie Merchant (born 26 October 1963) is an American singer, song-writer, musician and poet who first gained fame in the group 10,000 Maniacs which she co-founded in 1981. 2.2.1 What's The Matter Here? There is one tradition in America I am proud to inherit. It is our first freedom and the truest expression of our Americanism: the ability to dissent without fear. 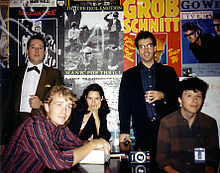 I grew up as a TV baby, with my TV babysitter, up until I was about 10. Then my mother just ripped the thing out of the wall and put it in a closet, and we didn't watch it. I have that sort of ability to become addicted to it. And I'm just so fascinated by it once I turn it on, I'm not even that aware what's there. I'm just watching it. So I don't ever turn it on. I get my news from the newspaper. I don't want to watch the Hollywood news product on TV... There's no other piece of furniture in my home I'd stare at for three hours at a time, so I try not to do it to the TV. It’s pretty obvious to everyone that the revolution has happened.